Only one solar thermal installation has so far been completed under the Renewable Heat Incentive. Only half of the grants offered by Government to businesses and councils to install renewable heating schemes are being claimed. One of the main reasons appears to be lack of publicity, but the grant conditions also are claimed to be too tight. Under the Renewable Heat Incentive, businesses and public sector bodies can claim a subsidy for every unit of power generated from technologies such as solar water heating panels, biomass boilers and heat pumps, in the same way as can be claimed for renewable electricity under the feed-in tariff scheme. The first tranche of the scheme, launched last year by the Department of Energy and Climate Change (DECC), was underspent by 50%: £5.5 million of the £10.8 million budget was unclaimed. According to Ofgem, just 176 schemes are receiving payment, a pitifully small number. The second stage, worth £7 million was launched in March, and the latest figures show a total of only £817,250 claimed. The vast majority of these are for solid biomass boilers. If this rate of uptake continues until the scheme closes in March 2013, just £3.9 million will be spent. New figures, released yesterday, show that DECC's current estimated expenditure for 2012/13, based on the total number of RHI applications received to date, is £18 million. The cap on spending is £70 million. At this rate DECC estimates only £42 million will be spent. As the figure is based on applications rather than fully accredited installations, the eventual figure is likely to be lower. The Renewable Energy Association's head of policy, Paul Thompson, said the difficulty in giving away the grants is due to three factors, all decided by DECC: the time-limit, the lack of publicity, and the small amount of support on offer, which, he said was “not enough money to influence people's decisions". He said: "You've got to have a bright idea that's pretty much developed to be in a position to be able to meet the deadlines". He called upon DECC to use unspent funds to run a publicity campaign. The Department is currently deciding what to do with unspent funds from the social landlord's scheme. DECC also launched an £8 million competition for community groups on 24 July, to install renewable heating. Grants up to £160,000 are available but applications must be in by 7 September, which is too early for some groups to manage. In addition, the completion schedule is tight: projects have to be completed by the end of the financial year. EU targets dictate that 12% of the nation's heating needs to come from renewable sources by 2020, an increase of 2.2% on 2011 levels. 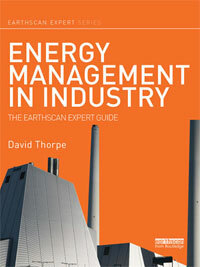 What is mystifying is the lack of installation of solar thermal. 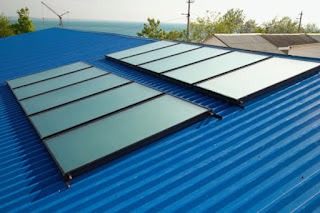 In the previous support system run by DECC, solar water heating was by far the most popular technology. 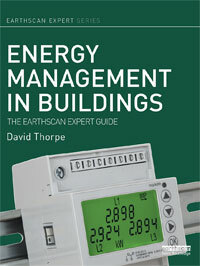 It has proved to be very successful in this country, much more so than solar PV in terms of value for money. In fact, renewable heat in general it is more cost-effective than renewable electricity, at a small scale. At the end of July DECC also published new regulations that introduce the stand-by mechanism for budget management to the RHI Scheme, part of the impact of which is to introduce an immediate change for biomethane producers who wish to register for the Scheme. DECC's current consultation on the Renewable Heat Incentive long-term budget management has, as its preferred option, gradually reducing the tariff levels for new installations if deployment levels exceed forecasts. On current trends, that is not likely to happen, and there could well be a third renewable heat underspend by the Department. One would be forgiven for wondering if this is part of a deliberate pattern. Investment funds divested from fossil fuels "will perform better"
An ebook version for the Kindle is available on Amazon for £1.84. 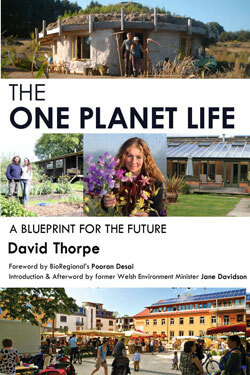 The One Planet Life: A Blueprint for the Future. "An excellent book - I couldn't recommend it more strongly." George Monbiot. 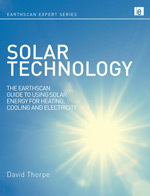 Solar Technology, The Earthscan Expert Guide to Using Solar Energy for Heating, Cooling and Electricity. © David Thorpe. Non-profit re-use permitted with attribution. Contact me for commissions. Picture Window theme. Powered by Blogger.